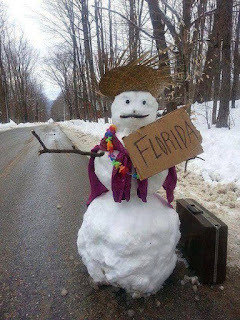 With the cold weather hitting I want to join this snow man hitchhiking to Florida. Someone was very creative with this snowman. I want to go to Florida too. I have my bags packed and willing to hitch a ride with this outgoing snowman. Can you imagine driving down on the highway and you see this! Good thing they had that special huge flat bed to transport that supper extra big dump truck. I don't know how they could have gotten the yellow dump truck home otherwise. Can you imagine the looks this got on the highway. I would have taken a second look and then laughed my head off. It is incredibly cute, a baby dump truck on it's way home. 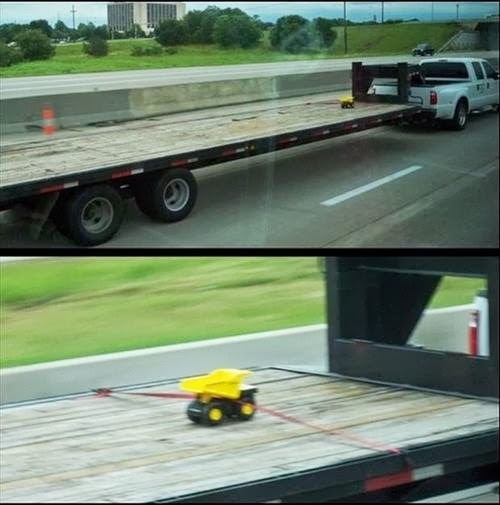 If there was a kid in the truck I would have to say this was a great parenting moment. Good thing they strapped it down, it would have flown off the flat bed otherwise. With the new Star Wars movie out it is time for a very cute flash back to when Skywalker and Yoda were much younger. The cat looks so much like Yoda, it is just cute. 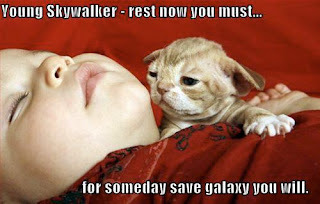 I love the quote, “Young Skywalker – rest now you must for someday save galaxy you will”. It is perfect for this picture. I absolutely love this picture. 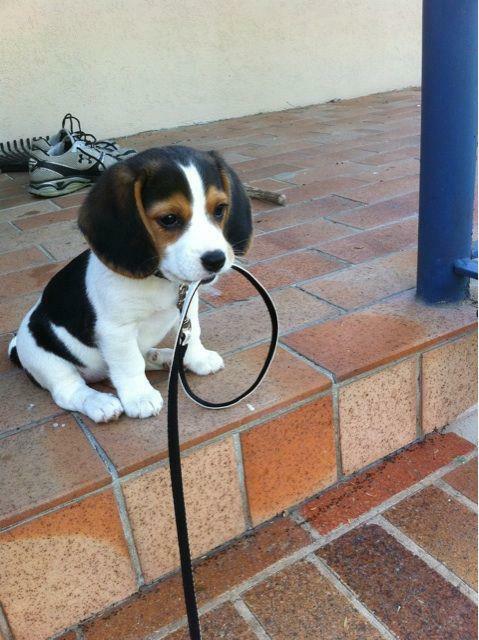 I would so take this cute puppy for a walk any day. The puppy holding its leash in its mouth is sweet. I love the look on its face as it sits there holding its leash. That would be my kids, trying to actually eat the entire Hershey chocolate bar even though it looks like it is about the same size as the kid. 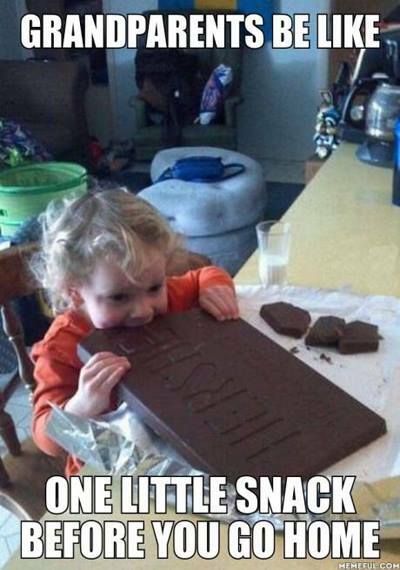 Can you imagine as a kid (toddler) getting a Hershey chocolate bar that big? Or if your kids Grandparents (or anyone) gave your child this chocolate bar? The kid would be sick or bouncing off the roof or both. As an adult I look on with envie. I would have loved to have had a chocolate bar almost as big as me when I was little. Heck I don't think I would say no to one now! That is one happy toddler.